The Genesian Theatre’s 72nd Season has opened with “Nothing Personal” written by David Williamson, one of Australia’s master dramatists. This witty play set in a modern day publishing house focuses on the rivalry between two women, one from the older generation who wants to play it safe with the material published and the other, a younger vibrant woman with plenty of new ideas, wanting to take a few more risks. Naturally this leads to fireworks between the pair and the battle between “old and new” begins. Adding a further spanner in the works is Kelvin, the head of the board and infamous womaniser, who is torn between his attraction to Naomi plus her ability to take the company forward and his loyalty to the experienced and capable Bea. Directed by Sahn Millington, the production stars Laurel McGowan as Bea, the older publisher and Alexis Hammerton as Naomi, her younger rival with Shane Bates as Roxanne, the one in the middle, trying to keep the peace. Kelvin is played by Patrick Costello. David Williamson always seems to have his finger on the pulse of what is happening in modern day Australia and this play is no exception. The characters are all a mixture of those whom we read about in today’s media. with a Sunday matinée at 4.30pm. Theatre goers are advised that this production contains some adult language and themes. 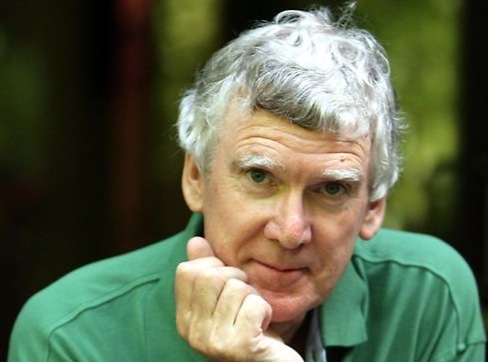 The exclusive premiere season of “Rupert”, David Williamson’s take on the greatest media mogul of all time, will open on Saturday, 29 November at the Theatre Royal, 108 King Street, Sydney, with previews beginning from Tuesday, 25 November 2014. American film and television actor James Cromwell will play Rupert Murdoch alongside an all Australian cast playing a myriad of over 60 roles. In her first time on a Sydney stage in 15 years, TV comedy icon Jane Turner from Kath & Kim fame will play Dame Margaret Thatcher and Dame Elisabeth Murdoch. Other cast members include Guy Edmonds playing Young Rupert, Scott Sheridan as Lachlan Murdoch, Hai Ha Le as Wendi Deng and Rebekah Brooks, Bert Labonte as Frank Packer and Ronald Reagan and John Leary playing Tony Blair, James Murdoch, Kerry Packer, David Frost, Gough Whitlam and others. One additional cast member is yet to be announced. “Rupert” is a timely, theatrically inventive, often hilarious, cabaret infused recounting of the life and times of this influential yet elusive man who has shaped our world. Charting his stellar rise to the top, Rupert tap dances his way through his first newspaper acquisitions, discoes toward his American breakthrough, shares a fiery flamenco with Margaret Thatcher and charms some of the most colourful characters of the 20th century, including Tony Blair, Ronald Reagan and Wendi Deng.